—MIT cut ties with Chinese technology giant Huawei and ZTE “due to federal investigations regarding violations of sanction restrictions,” the university’s head of research wrote in a memo to her colleagues this week. The memo outlines a new review process for “elevated risk” proposals for international collaborations. Engagements with China, Russia, and Saudi Arabia were deemed as meriting additional faculty and administrative review. “It is designed to enable MIT to engage with the world effectively, with responsible management of risks and in keeping with the values of our community,” Vice President of Research Maria Zuber and Associate Provost Richard Lester wrote in the letter. The MIT Media Lab lists Huawei as a “Consortium Lab Member,” and the Sloan School of Business’s Center for Information Systems Research lists Huawei as a “Research Patron.” It’s not clear if ZTE has existing partnerships at MIT. The university has not responded to requests for a listing of its partnerships with both companies. —An investor in Waltham, MA-based Care.com (NYSE: CRCM) has filed a class action lawsuit against the childcare marketplace, accusing the company of making false and misleading claims about the screening of care providers against databases and criminal records. The suit names the company, its founder and CEO Sheila Lirio Marcelo, and CFO Michael Echenberg. The Wall Street Journal in early March published a story that revealed caregivers with police records were hired on Care.com, and the company’s stock plunged. In the last week, the Journal reported day-care centers listed as being state-licensed did not appear to be actually certified, and Care.com also scrubbed tens of thousands of unverified centers from the website shortly before the Journal’s story was published. Again, the stock fell after the report. The plaintiff in the lawsuit is requesting damages for the class of investors because they relied on the misleading statements when they placed their bets on the company. —High school guidance and college admissions advising company CollegeVine raised $24 million in a Series B funding round from Maywood Street Investments, Fidelity Investments, Morningside Technology Ventures, and University Ventures. The Cambridge, MA-startup provides data-focused guidance for families working through the college admissions process. CollegeVine closed a $6.7 million Series A round led by Morningside in April 2017. The company, formerly known as Admissions Hero, was incubated at the Harvard Innovation Lab. —Payments giant PayPal (NASDAQ:PYPL) gave digital identity startup Cambridge Blockchain a boost by joining its Series A funding round with an investment of an undisclosed size. The companies say they will work together on blockchain technology. Cambridge Blockchain’s other Series A investors include Omidyar Network and Flourish, a venture of The Omidyar Group; Foxconn’s HCM Capital; Partech Partners; Future\Perfect Ventures; and Digital Currency Group. —Clinical analysis startup TriNetX has acquired Belgium-based Custodix and its InSite clinical trial design network. Terms of the deal were not disclosed. Last month, TriNetX raised $40 million in a round led by Merck’s corporate venture fund. TriNet CEO Gadi Lachman says the acquisition boosts its European resources by quadrupling the size of its European staff and establishing a headquarters to launch expansions. Custodix’s CEO Brecht Claerhout will become managing director of InSite, which will be a TriNetX-branded company. —Boston Dynamics, a division of Japan-based technology conglomerate SoftBank, has acquired Menlo Park, CA-based Kinema Systems in a deal that will expand the robotics company’s reach into industrial logistics and bolster its 3D-vision capabilities. Terms of the deal were not disclosed. The purchase and addition of the team from Kinema will establish Boston Dynamics’ first office in Silicon Valley. Boston Dynamics plans to support and sell Kinema’s Pick technology that uses vision sensors and deep learning to move and stack boxes. —Cloud security startup Aqua Security closed a $62 million funding round led by Insight Partners. Previous investors Lightspeed Venture Partners, Microsoft venture arm M12, TLV Partners, and Israeli information technology investor Shlomo Kramer also joined the round. The funding brings Aqua Security’s total raised to more than $100 million. 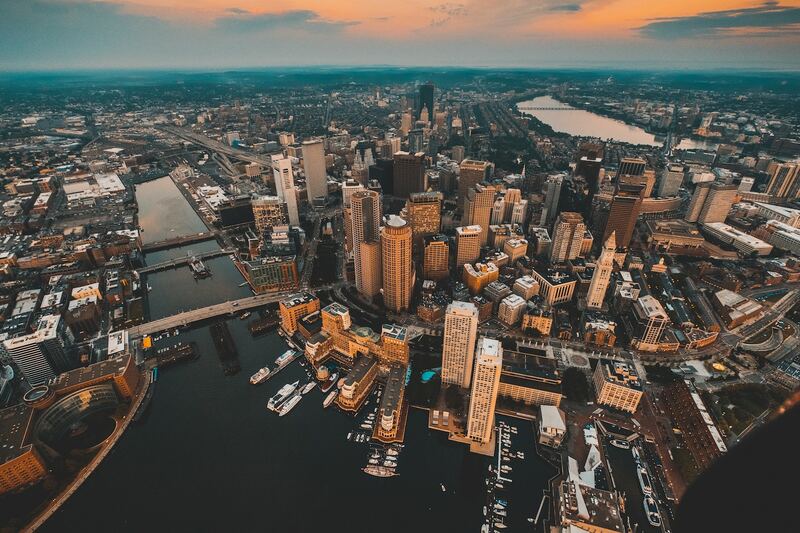 Aqua, based in Boston and Tel Aviv, says it has quadrupled its customer base in the past year and serves five of the world’s top 10 banks with its container security technology. —Restaurant technology startup Toast is stocking up its bank accounts with a new $250 million funding round the Boston company says is needed to keep pace with tech-hungry eateries’ interest in its point-of-sale software and devices. The funds come less than a year after Toast raised a $115 million Series D round and joined the growing list of “unicorn” startups with valuations of more than $1 billion. With this latest infusion of cash, Toast says its value has hit $2.7 billion. —Catering technology startup ezCater has raised a $150 million Series D-1 round that pushes its valuation to $1.25 billion. The round was led by Menlo Park, CA-based Lightspeed Venture Partners and Singapore-based GIC. The Boston-based company says it has raised $320 million in venture funding. —3D printing company Formlabs released two new products this week built that feature a new “low-force” technology that results in smoother parts. It also launched a draft resin material that makes parts three-to-four times quicker than other plastics. The new Form 3L printer offers a large-format printing area to let users create larger parts. The company says it is turning a profit and has shipped 50,000 printers, which have so far produced more than 40 million parts.